Sick and tired of the boring white aluminum look of your laptop or MacBook? 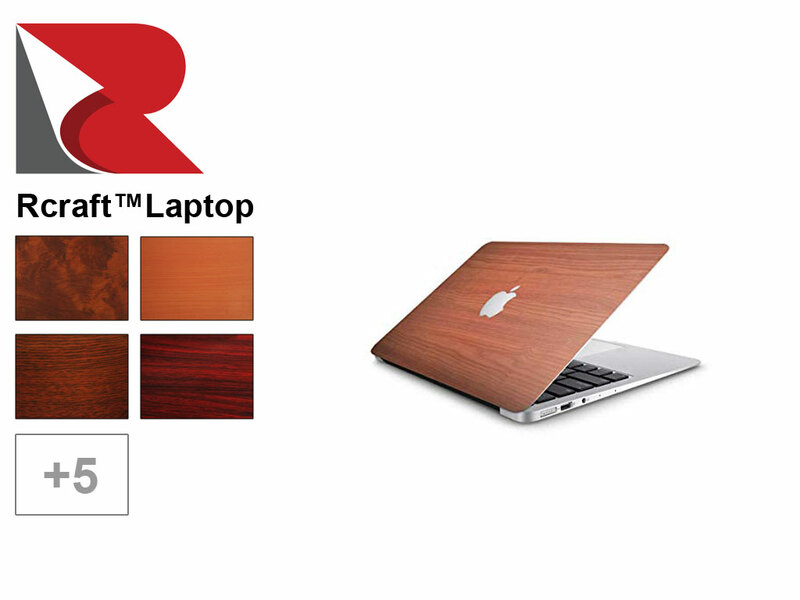 Upgrade to the look of genuine Brown or Black Leather with an inexpensive Rwraps™ Leather Laptop Wrap. 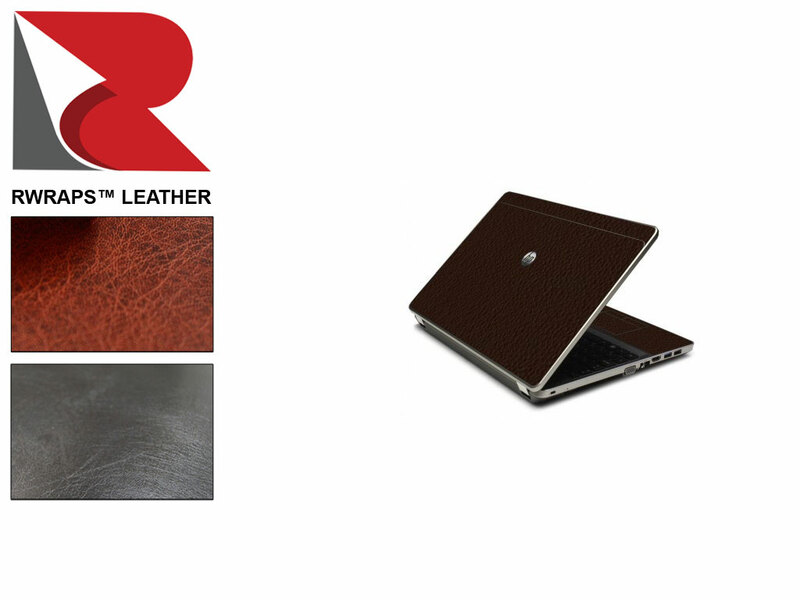 Made from the highest quality vinyl wrap film with ultra-realistic leather grain that you can actually feel, people will be asking you where they can get a leather laptop asking like yours! Who doesn't like the look of a bran new laptop? With our wide variety of laptop wraps you can restore your Dell, MacBook, Lenovo or Alienware to its former glory and take years off its appearance. Choose from great finishes like matte metallic, gloss silvers, brushed steel and more if you want to match the factory look or go for the gusto and really express yourself with a Carbon Fiber or Wood laptop skin. It will stand out from the crowd while at school or in the office making it harder to steal. Your laptop skin will actually protect your laptop from scuffs and scratches. When you wrap your Dell or MacBook you'll be able to hide previous damage. You can change up your look since these wraps are removable. How Much Vinyl Do You Need to Wrap Your Laptop? Almost every laptop in existence can be wrapped with a 24-inch by 48-inch sheet of vinyl. And, when you think about it, it makes sense: these are supposed to be portable computers so anything larger than twenty inches wide would be impractical at best. In case you have a vintage IBM that takes up half a house you can also check out our furniture or cabinet wraps but otherwise you should be just fine with our selection here. Step 1: Measure your laptop to determine how much you'll need. Step 2: Clean your laptop with Rapid Prep or other cleaning solution. 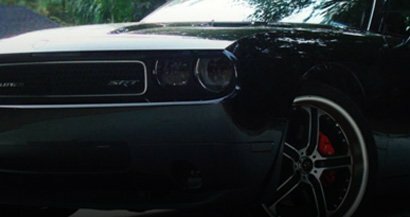 Ensure that the surface is completely dry and free of dirt before you apply vinyl. Peel the vinyl wrap from the paper backing. Lay vinyl lightly over laptop. Step 4: Using a pair of scissors first make a rough cut in the shape of the laptop being sure to leave at least 3/4 of an inch if you want to wrap the film around the corners (like on MacBook's). Step 5: Next, use an Exacto blade to make the finishing, fine cuts. If cutting directly on laptop apply light pressure to avoid damage. Step 6: Make detailed cuts to add more character and depth to the wrap so we definitely recommend it. Step 7: Squeegee the wrap onto the laptop Now that you've made all of your cuts and trimmed the wrap you can squeegee the wrap on. Start from the center and work out towards the edges. If bubbles or creases appear lift the vinyl up and gently apply pressure with outward strokes. You're done! If you need to clean your wrap just use a little mild soap and water (and remember this is a high-priced piece of electronics so don't dunk it in the sink) with a non-abrasive cloth. Whichever vinyl you choose can pretty much assume that it will last you for a minimum of 3 years if not much longer. The product is excellent. It wasn't what I was looking for though. I need a product that looks like leather that will bond to a couch and be soft. I loved the look of this product it just wasn't pliable enough for what I wanted.